They were working on the East Olympic Boulevard Viaduct when I visited this site (in 1999), which may explain why I don't have a photo of the bridge's substructure. 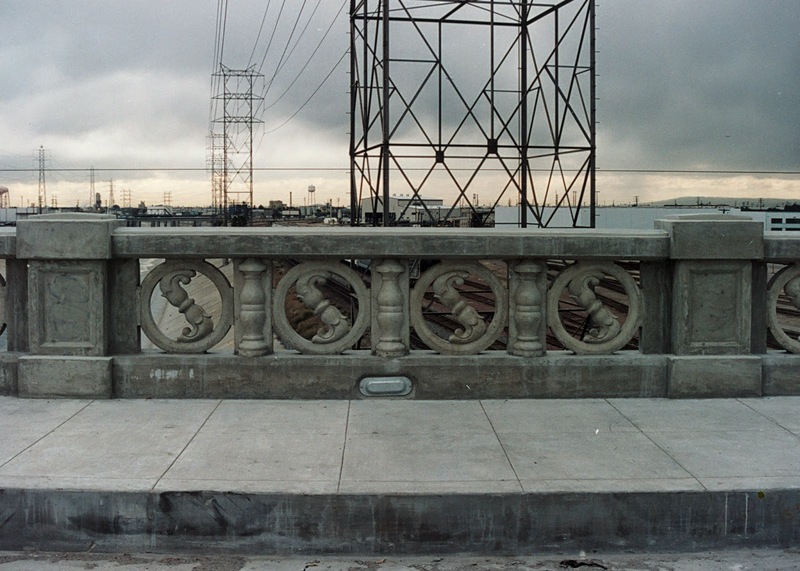 However, the photo above shows a little of the bridge's elaborate ornamentation. In the past, these details would have been accomplished by a sculptor. At the start of the 20th century they were accomplished with forms filled with concrete. The picture below is from a nice collection of photos from the US Library of Congress that were taken in 2002. It looks like they did a good job of restoring the bridge. 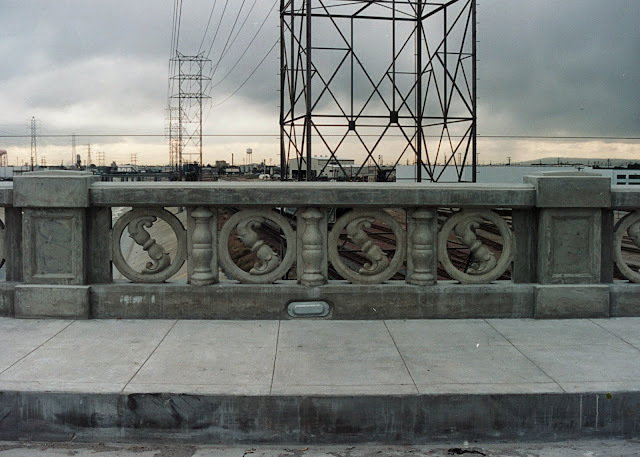 It was originally the Ninth Street Bridge when it was built in 1925 but the street and the bridge were renamed in honor of the 1932 Los Angeles Olympics. Los Angeles County, California River Bridges: Olympic Boulevard Viaduct across the Los Angeles River by Mark Yashinsky is licensed under a Creative Commons Attribution-NonCommercial-NoDerivatives 4.0 International License.